We are equipped with the best infrastructure and latest technology to meet the global needs. Stringent quality control, courteous and prompt delivery has paid off, as today we have esteemed clients following in domestic and foreign markets; the imprint of our services to our esteemed buyers runs across the Bangladesh, South Africa, Burma, Shri Lanka, Nepal and many countries in Middle East. 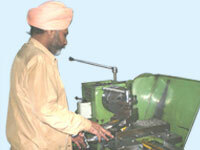 At BABBU ENTERPRISES : To meet the product requirements , the plants are well equipped with latest machinery. 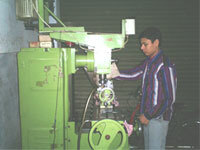 BABBU ENTERPRISES has well equipped Tool Room where Professional Die Makers are employed for the making of new dies for washer power presses. and A modern Electricity Power Panel system & generator provide constant electricity and for safety.